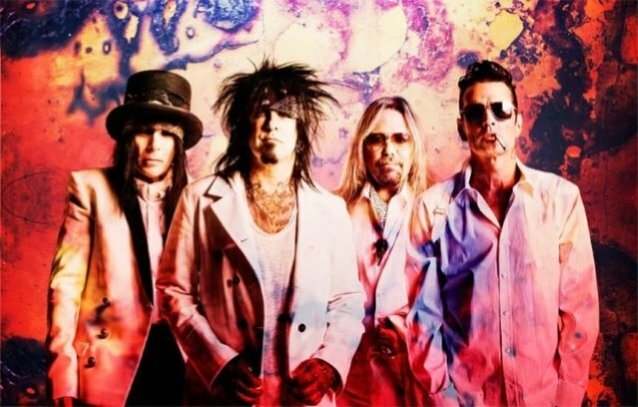 MÖTLEY CRÜE bassist Nikki Sixx has confirmed that the band is recording four new songs for the film adaptation of the group's biography, "The Dirt - Confessions Of The World's Most Notorious Rock Band". The movie, which is being helmed by "Jackass Presents: Bad Grandpa" director Jeff Tremaine, was picked up by Netflix after being previously developed at Focus Features and before that at Paramount. MÖTLEY CRÜE singer Vince Neil tweeted yesterday that he was "going back in recording studio in a few weeks" with his bandmates to lay down his vocals on the group's new songs.